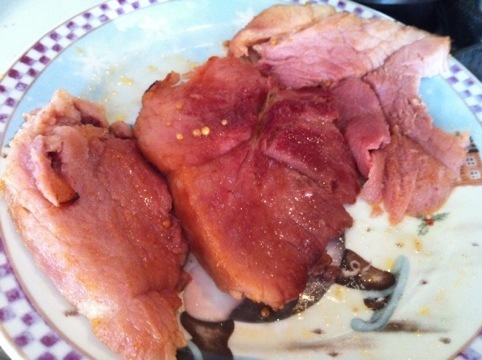 I made two hams for Easter last year. LIke my friend Courtney would say, what the ham? I had a crowd coming and wanted to make them differently. 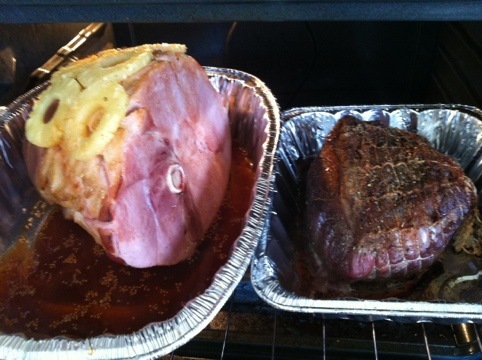 This is the recipe for the Pineapple Easter Ham. Preheat oven to 325 degrees F. Place ham in a roasting pan. In a small saucepan, combine brown sugar, pineapple juice, honey and mustard seed. Bring to a boil, reduce heat, and simmer for 5 to 10 minutes. Set aside. Bake ham in preheated oven uncovered for 2 hours. 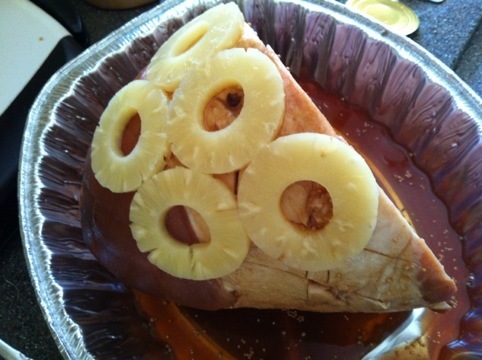 Remove ham from oven, and brush with glaze and add pineapple slices. Bake for an additional 30 to 45 minutes, brushing ham with glaze every 10 minutes.